Pierre Emerick-Aubameyang has endorsed Arsenal youngster Florian Balogun amid growing excitement around the Gunners' latest talented academy starlet. 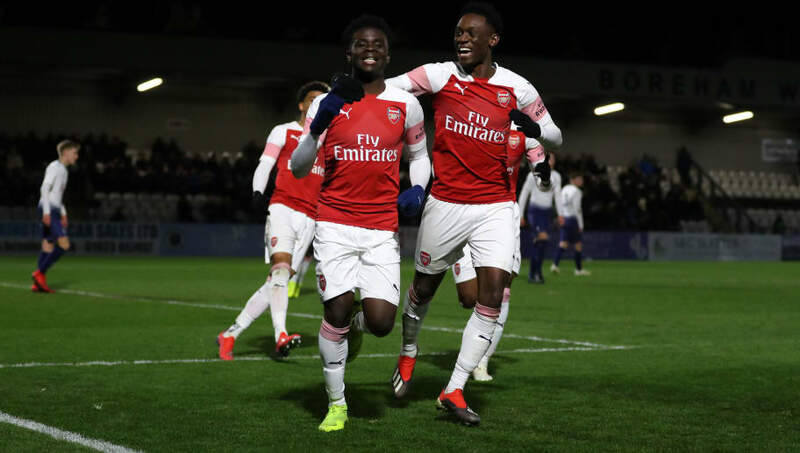 Balogun, a clinical striker across all levels of the Arsenal youth system, has enjoyed a hugely successful campaign for the club's U18 and U23 teams, including a four-goal haul against Reading on Saturday. Still just 17 years old, Balogun is quickly becoming a focal point of the newest generation of Arsenal's famed academy alongside Eddie Nketiah, Emile Smith Rowe who is currently on loan at RB Leipzig, and Ainsley Maitland-Niles, who has made 11 Premier League appearances this season. The forward has seen his fine form rewarded with opportunities to train with the first team, where he has been able to learn from the Gunners' bevy of attacking superstars including Aubameyang, a player Balogun models his game off of. Speaking in an interview Arsenal.com, the young attacker said: "I am the sort of striker that likes to play on the shoulder of the last defender and make runs behind them, similar to the way that Pierre-Emerick Aubameyang plays." Aubameyang, Arsenal's leading goalscorer with 17 Premier League strikes this season, has done nothing to quell the growing anticipation around Balogun, tweeting words of approval for his young protege, writing, according to Football.london: "This young boy is ." Born in New York to Nigerian parents, Balogun moved to London at the age of two, making him eligible to play for all three nations, although thus far his international experience has come with the England youth set-up. While the end of this season may come too soon for Balogun, the striker is quickly making his way up the Arsenal ranks and is held in high regard by the Gunners hierarchy and manager Unai Emery as displayed by his appearances in first team training. Arsenal travel to Goodison Park on Sunday to face Everton in a crucial match for the Gunners' top four hopes, before hosting Napoli in the first leg of the Europa League quarter-final stage on Thursday.